Want to know interesting and useful ways to increase Facebook video views? Facebook videos have topped the priority list for marketers in 2018. Videos are the most impressive ways of engaging more viewers and converting them into loyal consumers. Sharing videos on social platforms are the recent trend today. But as it is a little offbeat marketing tool, one might not have enough idea to maximize viewership. Here’s a list of 10 exciting ways to increase Facebook video views, shares and boost engagement rates. But before knowing about the fascinating ways to increase Facebook video views, let’s understand the importance of sharing videos on social platforms. Video marketing is expected to touch the pinnacle of success this year. In 2018 and the future years to come videos will become powerful channels to attract prospective customers. Researchers consider the current period as the year of video revolution. 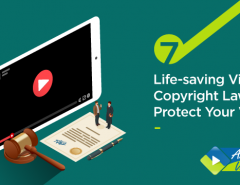 Furthermore, video marketing is proved to be more successful when shared on social platforms like Facebook, YouTube, Google+, LinkedIn, Pinterest, etc. 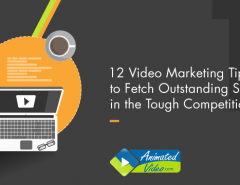 Marketers recognize that video is progressing rapidly and will reach newer heights shortly. 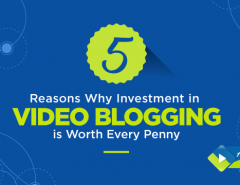 Today, sharing videos on social media will be an approach that will fuel better ROI further. Facebook, one of the most popular social media channels has a vast number of active participation. YouTube has emerged as the second most popular social network in the world. According to a recent report of Facebook video views statistics, Social Media Marketing Industry state that ‘73% of the social marketers use video contents in 2016. Depended on this Facebook video views statistics, social networks encourage videos with their new features. Surveys show that Facebook has launched 3600 Video as well as Facebook live video. Before optimizing your videos for views, it’s essential to understand different types of video experiences. Which videos are most favorite, how will your video look on various devices and which category will have maximum Facebook video watch? It is a standard video post that maintains an aspect ratio of 16:9 (as reported at www.impactbnd.com/blog/get-more-views-on-facebook-videos). When the orientation of a device changes, the display becomes full screen accordingly. These videos are ideal for full-screen views. It provides vertical viewing on a mobile device; its aspect ratio is 9:16 full portrait. Most of the social media channels nowadays are popularizing the concept of portrait videos. Hence when a marketer targets mobile viewing, one can select the format of portrait video. Besides portrait video, square video format has also become increasingly popular. This kind of arrangement won’t change its size whatever orientation it is put into. In addition to that, this form is more prominent within the newsfeed. Social platforms constantly evolve and introduce new features, hence, your video marketing strategy also has to grow to match the progressive techniques. Focus on creating videos that captivate the audience and make them trust your brand. As a digital marketer, you should always get ahead of the rising trend and allow effective Facebook video watch. Not all social media is created in the similar pattern and neither each has the same audience. Researchers reveal that 69% of adults use some form of social media to interact with companies. There are many proven methods to increase viewership. Listed below some of the easy, interesting and effective ways for boosting customer engagement. Sharing videos on a social platform is a significant event these days. Videos receive successful shares on social media channels. Among several other social platforms, Facebook has more mass involvement; surveys reveal that square videos outperform landscape videos regarding engagements, views and reach. More than half of the video views are on mobile. Facebook business video consumption on mobiles has increased 233% since 2013. It is estimated that 92% of Facebook users use this social channel on mobile. Square videos have taken up 78% more real estate in the news feed on mobile than on desktop. Hence, with more and more people viewing videos on mobile, square videos would steal the show. Video consumption will increase with square video. In addition to that, a marketer can also plan to create vertical videos for improved video performance. Facebook has an option of showing larger previews for vertical videos in Newsfeed on mobile too. The first 3 seconds of any video is crucial. Tuck in the initial few seconds of your video with most vital information to initiate more viewership. Facebook videos have first few seconds for auto-play. To captivate users’ attention and convince them to watch the media at that very moment here are a few proven points. In general, the first frame should be geared towards piquing a consumer’s interest. According to the rising trend, silent videos are among the most preferred watches of the viewers. Studies reveal that about 85% of views on Facebook videos are without sound. Hence, marketers must plan to optimize silence for more engagement. Sometimes a Facebook business video does not require sound at all, but most of them need. However, most of the Facebook users prefer to watch videos without the sound. Facebook now has the feature of auto-plays on the mobile Newsfeed. Hence, if you add meaningful captions to your videos, your viewers can understand your message. This way without any voice or music your purpose will get served too. When you upload a video on Facebook, upload SRT files of your captions. You can also add captions to your Facebook videos by editing the existing ones. The good news is, in the years to come Facebook is rolling out an auto-captioning feature too. To increase Facebook video views, you need to focus on spawning new ideas that are easy to understand. When your video is easy to understand, viewers can relate themselves to the story. Such videos are more likely to get maximum shares. While creating a video, it is vital to think from the audience’s point-of-view. It is also necessary to understand what element in your video content would engage the audience and motivate them to share. Consider uploading Facebook native videos for better viewership. Facebook native video are those videos that are created within or uploaded directly to Facebook. These videos further enjoy the opportunity of auto-play within the Facebook Newsfeed. Several online surveys prove that the interaction rate for Facebook native videos was on average 109.67% higher than for YouTube videos. Additionally, Facebook native videos witness an average of 477.76% higher share rate compared to YouTube videos. Besides posting native videos also focus on sharing those videos with Buffer. Using buffer one can upload videos directly to the queue and post them onto Facebook native videos. Facebook sees around two billion searches every day. Therefore, while posing videos on Facebook and planning a strategy to increase viewership, one needs to use descriptive titles for the video. Facebook recommends that choosing a proper title would make the video top the search list. Furthermore, adding titles would optimize your broadcast and allow viewers to search the program quickly. Viewers have a short attention span and people want information instantly. Thus, it is essential to provide information through video content in a very firm way. Videos of 25 – 30 seconds long are ideal for all viewers. A study showed that videos at that period had the best completion rate. You can entice more audience if you win the challenge of providing all necessary information in a brief time. But what should be the length of the video? A marketer can quickly determine the length of the website through using Facebook page insights. This Facebook video analytic helps the admin to identify the actual viewer engagement. Consider creating an Facebook video advertisement to help extend your reach to your target audience and engage them further. This way business personnel can provide a business message reach out to a broader audience. If the target audience views the Facebook video ads, there’s a massive increase in the amount of traffic. Back to your page and also to your chosen call-to-action link. To engage viewers to your videos, call-to-action (CTA) can work well. This strategy is the ideal way to drive traffic to your website, encourage engagement and further convert viewers into potential customers. Facebook provides several free ways for marketers to include CTA functionality to their videos. 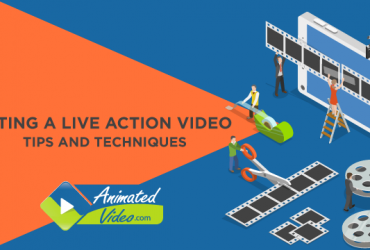 One of the most effective ways to add call-to-action is to incorporate the video link to website blog posts. Once a viewer clicks on the link, they get redirected to more information. Similarly, you can also ask your audience to share their thoughts in the comments section. Another beneficial way of mentioning a CTA is the video itself. This can be done through a static image, talking features or using a text overlay. CTAs work better when incorporated at the end of the video. Viewers respond more when a video continues to inform what to do next after the actual content ends. Thumbnails play a vital role in attracting prospective viewers to your videos. These are the items which people first come across while browsing for video. Thumbnails act as book covers and hence powerful tone can compel the viewers to click through and watch the broadcast. Additionally, a video thumbnail is necessary to determine whether your video is viewed or ignored. Select a thumbnail that best represents your video’s content. Facebook favors those whose accounts are verified. Such account holders can use custom thumbnails or upload the ones provided by Facebook. Do your videos help your audience achieve what they are looking for? For every online marketer, videos have become the most viable marketing options. Viewers hold a significant position in a business; if you do not keep your viewers satisfied, undoubtedly you will lose potential clients. Hence, when you plan to borrow someone’s attention, it is essential to provide them with the best food for their thought. 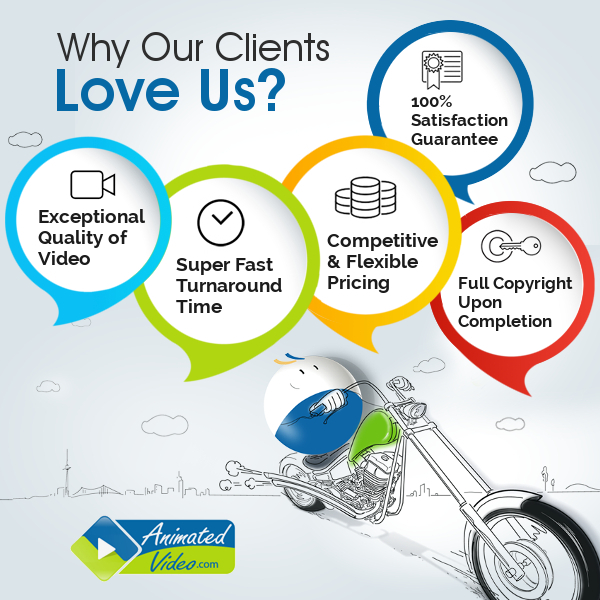 If you want to create the best video for your next project you can count on Animated Video. The experienced and professional creators would help you to develop the most engaging and awe-inspiring videos. As a marketer, one must communicate critical information that has more value. Video marketing is the next big thing in the industry today. A business person can see desired results with tons of views, comments, likes, shares and finally leads. Take the video marketing thing to the ultimate level by increasing viewership with the tips above and tricks. 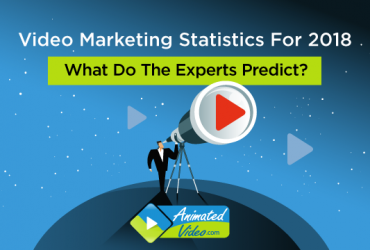 Next Article Video Marketing Statistics For 2018 : What Do The Experts Predict?